Attention Wayne County, MI residents! 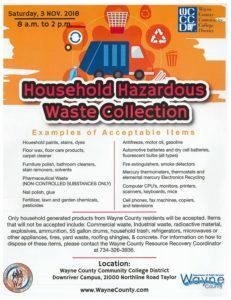 Recycle your household hazardous waste! Please be sure to review the flyer for the list of accepted items and items NOT accepted, hours of service etc.